Coal plant closures have become routine in 2018. American utilities plan to close roughly 13.5 gigawatts of coal capacity this year, the second-highest annual total on record. But even by that standard, the announcement by FirstEnergy Solutions that it intends to disconnect its last two coal plants was particularly notable (Greenwire, Aug. 30). Few power companies have had a greater impact on the national debate around coal. FirstEnergy Solutions, the power plant division of FirstEnergy Corp., filed for bankruptcy protection in April. The company has aggressively lobbied Washington for a federal lifeline for its ailing coal and nuclear facilities, which have been weighed down by low wholesale power prices and stiff competition from natural gas. The proposed plant retirements of Bruce Mansfield in Pennsylvania and W.H. Sammis in Ohio add fuel to the debate surrounding coal plant closures. The massive facilities are in politically important states, and they buy coal from Murray Energy Corp., an Ohio mining company led by a Trump confidant. The political backdrop prompted some analysts to wonder if last week's announcement was designed to prompt a response from the Department of Energy, which is considering a plan to head off premature closures by subsidizing the use of coal. "One way to read the announcement is that it's designed to force the hands of policymakers and regulators to think about a more concrete timeline for action to support baseload generation," said Joseph Aldina, who tracks the industry at S&P Global. "It may be a signal to policymakers and regulators." 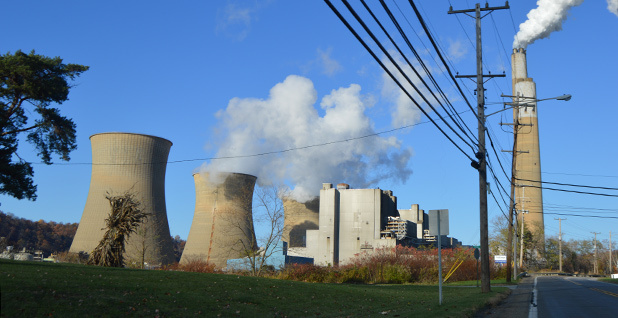 Coal interests rejected that idea, but they are already predicting dire consequences if FirstEnergy proceeds with the closure of Bruce Mansfield in 2021 and Sammis in 2022. "We've been walking very close to the edge of a reliability crisis. I think there are people who would argue that we're there," said Conor Bernstein, a spokesman for the National Mining Association, a trade group. "The urgency increases with every new announced retirement." A study commissioned by NMA predicted that Rust Belt consumers would see electricity costs increase by $2 billion annually if Bruce Mansfield, Sammis and a third FirstEnergy plant already slated for closure, Pleasants power plant in West Virginia, all shut down. Industry analysts are skeptical of such claims. They note that an influx of new natural gas-fired generation means the region has a surplus of electricity. There is more consensus on this: The closures would have sweeping consequences for Eastern coal companies. The three facilities are major buyers of northern Appalachian coal, said Seth Schwartz, president of Energy Ventures Analysis, the firm hired to conduct NMA's study. "Closing these plants would result in the closing of one large coal mine in that region," he said. FirstEnergy's announcement comes at a time when DOE efforts to craft a plan to provide subsidies to ailing plants appear to have stalled. The Energy Department has weighed whether to use the Energy Policy Act and Defense Production Act to help distressed baseload facilities. Yet DOE has no timeline for rolling out its latest rescue plan (Greenwire, Aug. 22). Charles Fishman, an analyst at Morningstar Inc., said the announcement by FirstEnergy could be gamesmanship. But he noted that the political maneuvers are playing out as the company extricates itself from the power generation business. FirstEnergy Corp., the parent firm, has moved away from power plant operation, where it competes in a wholesale power market, toward transmission and distribution, where it operates as a regulated monopoly that generates a guaranteed return on investment. In recent months, the Akron, Ohio-based company has taken steps to insulate itself against the liability of its bankrupt power plant division, striking a deal with FirstEnergy Solutions debtholders over its outstanding loans, Fishman noted. What happens to its old power plants is less clear. The chief problem facing these coal and nuclear facilities is geographic, Fishman said. They sit atop the gas-rich Marcellus Shale formation. The glut of natural gas in the region has made it difficult for them to compete. "These were good coal plants. The problem is they were just in the wrong place," he said. FirstEnergy has not been so explicit. A company spokesman declined comment for this story. But in its statement announcing the closures, the power company hinted that it might change course. "Depending on the timing of any federal policy action," it wrote, "deactivation decisions could be reversed or postponed." The closures are significant for other reasons. FirstEnergy's coal plants are among the largest in America. Bruce Mansfield and Sammis together account for almost 4 gigawatts of coal capacity, or about 1.5 percent of the total American coal fleet. They are also large carbon emitters. In 2016, the pair produced 18.6 metric tons of carbon dioxide, according to EPA data, the equivalent of almost 4 million passenger vehicles. Then there's the issue of the plant's primary supplier, Murray Energy. The Ohio-based coal mining company has gone out of its way to try and keep FirstEnergy's coal fleet humming, even agreeing to haul coal ash from Bruce Mansfield at below-market rates as part of a bid to keep the plant burning coal. Bob Murray, the company's CEO and a Trump confidant, said last year that his firm would go bankrupt if FirstEnergy were to pull the plug on its coal plants. He has since backed away from that claim — and remained notably mum since FirstEnergy's announcement last week. A Murray spokesman declined comment for this story. Bankruptcy documents suggest the relationship is on the rocks. FirstEnergy moved to terminate its coal contract with Murray, which was set to supply Bruce Mansfield with 6.5 million tons of coal through 2028. Murray has sought to block the cancellation, saying it would cost the coal company $3 billion. Murray has also asked the bankruptcy court to terminate the coal ash hauling agreement, saying it only agreed to provide those services in exchange for FirstEnergy's purchase of coal. The plant closures are over the horizon. Their retirement would have to be approved by PJM Interconnection, the grid operator in Ohio and Pennsylvania, to determine if shutting them down compromises the region's power supply. Aldina, the S&P analyst, doesn't expect PJM to come to the facilities' rescue. The pair of plants have seen their usage plummet in recent years, with their run times falling from over 50 percent in 2016 to roughly a third in 2017. Bruce Mansfield has also suffered a fire. "Basically, without some sort of subsidization, the plants would be likely to close," Aldina said. "That's why you have to wonder if the announcement is intended to send a message."